Liquid Tight Cordgrips Lab Kit #78 - Bolt Products Inc. They are perfect for product design departments, experimental labs, and prototype work. Our kits contain an assortment of our most popular sizes of liquid tight cordgrips. 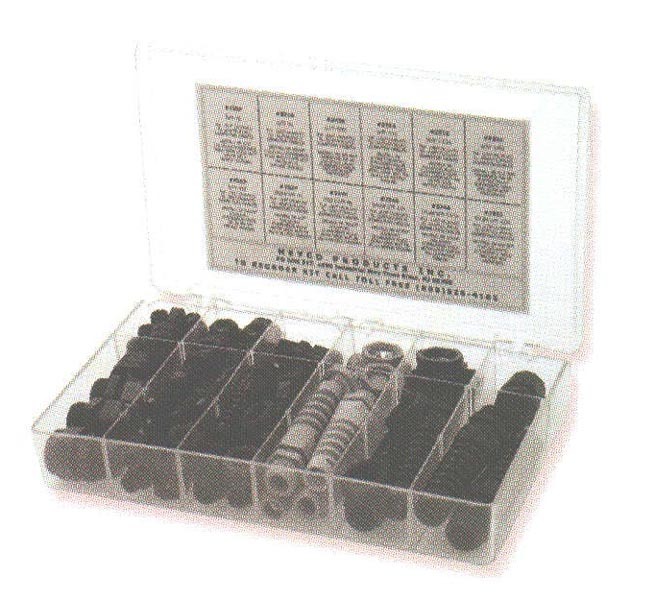 Heyco also offers lab kits for our plugs, bushings, IEC connectors, wire connectors, and strain reliefs. Consult the appropriate catalog section.